The City of Stars i.e. “Queen of Angels” – Los Angeles, is not only home to many great people, but also home to some of the best real estate investment opportunities in the entire coutry. The city of Los Angeles boasts as the # 2 largest city in the entire country. LA is at the epicenter of all major business and commercial transactions in the United States. The city contains the world headquarters of top corporations such as Facebook, SPACEX, Walt Disney, Warner Brothers, Mattel Inc. and many other great firms. LA is also home to iconic sports franchises such as the Lakers & Dodgers. A multitude of commercial city developments and re-developments are taking place in Atlanta that are sure to increase property values throughout the city – such developments include The – At Mateo, The Grand, The Reef, Circa, Ford Factory Building, Hotel Figueroa, The New Billion Dollar LA Rams and Chargers Stadium, Baldwin Hills – Crenshaw Plaza Redevelopment and so much more. Some other major developments to look out for in LA tha are taken place are infrastructural developments such as The Los Angeles StreetCar and The Regional Connector. These development projects are all estimated to drive in billions of dollars in revenue for the city, and drive an already thriving economy even more further up. 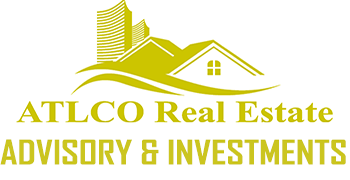 Visit – http://www.atlcorealestate.com/la/ to learn more about why Investing in the Los Angeles market would be a great strategy for to grow your investment portfolio. Atlanta has always been a forward – thinking and ahead of the curve city since it’s grass root days historically. The real estate market in Atlanta compared to markets such as California & New York – provide investors to get the most for their capital. Rated as the #1 rental market for Investors by HomeUnion – lots of very sophisticated investors have poured in millions of dollars worth of their capital into the Atlanta market. In the recent years the city has seen a tremendous spike in population and boom economically as a result of all the new FORTUNE 500 companies relocating to Atlanta. It is extremely an attractive city for young professionals because of all the opportunities that are here – ranked by FORBES 2016 as the #19 city in the country for young professionals & ranked #9 for best places to do business and careers by FORBES. Additionally, there are quite a few billion dollar city re-development projects taking place that will improve the overall quality of life – thus increasing demand to live here – thereby increasing property values. Such positive macroeconomic factors will only cause property values to keep rising and the city is poised to be a great place to invest in real estate for years to come. We currently invest only in – Atlanta, Ga & Los Angeles, CA. with plans for future market expansion. Investors can create financial security for loved ones and leave behind a Legacy their family. The most wealthiest families in the world have used real estate investing as a form of Wealth transfer for centuries. Historically the real estate sector has been the #1 wealth creator and #1 Millionaire creator in the world. When investors participate in the real estate sector they acquire assets that create financial security for their family. From a financial standpoint real estate also provides higher risk-adjusted returns, historically – than stocks, bonds, etc. and is a great diversification hedge against the stock market risk & inflation. – Investment Property Acquisitions, Renovations, & Dispositions.